That is the essence of The Jason Kapit Group (TJKG). Our goal is simple. We will do everything we can to insure that a successful sale or purchase occurs. Client satisfaction is the goal and when we achieve it, everyone wins! 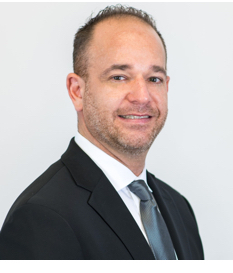 A former securities trader and practicing attorney, Jason is an agent with Keller Williams Luxury International is a member of The Florida Bar, the Broward County Bar Association, and EASL (Entertainment and Sports Law Association). He has ranked in the Top 1/2 of 1% of ALL Realtors nationally for the past decade. With 14 years of full-time residential real estate experience, Jason attributes several factors to his success: strong professional network, community involvement, keen knowledge of the market, transactional & legal expertise (former practicing attorney), strategic marketing, and an excellence in customer service. 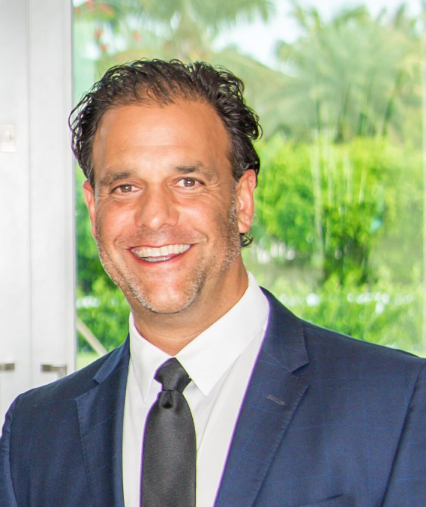 Practicing out of Keller Williams Parkland/Coral Springs office, located at 3301 N University Drive, The Jason Kapit Group consistently represents in excess of 20 exclusive listings, allowing for a true real-time tell on the health of the market. He is a trusted resource for buyers, sellers, developers and investors always providing guidance and a lending ear for those seeking his services. Prior to joining the #1 Luxury Real Estate Team in Keller Williams Coral Springs, Kastle worked internally as part of Leadership as the Director of First Impressions, assisting over 250+ agents with various real estate needs. At the age of 24, she has acquired over 9 years of customer service experience. She is a driven individual that is very detail oriented and is easily accessible. Eventually, Jason, impressed with her ability to manage people, integral to all things real estate, hired her to work exclusively for him. She now oversees day-to-day operations at The Jason Kapit Group, handling current clients, schedules, event planning, the group's social media presence and so much more. 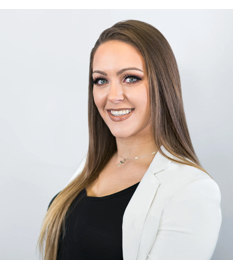 Her millennial status is not only welcomed but vitally important to the growth of our team and our desire to create an environment that is current, cutting edge and forward-thinking. Her unique first name, pronounced "Kes-Lee", originates from German descent and is her father's favorite brand of skis (talk about passion for a sport!). She is one of just 47 others with this name in the entire United States. Born and raised in Shelton, Washington. She is a mom to two puppies, Sam and Mia, and is the oldest of 5 sisters! Kastle moved to Florida two years ago to be closer to her nana, aunt, and uncle. She is very community oriented, volunteering at multiple non-profit organizations in both Washington and Florida. You can’t leave a conversation with Kastle and without having a smile on your face as she is always striving to set a lasting impression! She is very dedicated to helping each and every client on a personal basis and is motivated in her work! Adam is the baby-brother (41 years young) who handles the tremendous workload of personal showings that we provide each and every client of The Jason Kapit Group. Adam is tireless when it comes to his craft and expertly represents his expanded Millennial Network as they begin to buy and sell homes. Adam graduated from the University of Florida with a B.A. in Business Administration. Always captivated with the stock market, he became an equity trader right out of college, working for Schonfeld Securities and T3 Trading Group, proprietary trading firms based out of New York. The key to his successful trading career was consistency, that is, setting goals, staying disciplined and continuously working hard to exceed self-set expectations. That’s the hallmark of what it takes to be great real estate agent. You can’t teach desire, motivation, self-discipline. It comes from within, so when an opportunity presented itself where the brothers could unite to build on what is already a very successful real estate business, the wheels were set in motion for the collaboration to begin back in 2014. His energy, enthusiasm, hard work, infinite number of friends and vast 30-40 something network has paid dividends! Born in Hollywood, FL at Memorial East, Adam is a lifelong resident and has lived in Hollywood his entire life. He knows South Florida better than anyone. He is married to Aly for 14 years and has two amazing children. Whatever it takes to earn your business and trust, he will get it done. Are you a talented agent? Are you ready to join a formidable real estate team? Contact us today!